I am 53 and my wife is 52. We have been married almost 29 years. We have 2 sons, oldest is 24 and is an English Teacher, youngest is 22 and a senior at a local state university. We live in the suburbs of a mid-Atlantic city. We have a net worth of approximately $1.4 million. I did not include personal belongings in this calculation. Combined accounts of $320k which has our Roth’s, money market and a traditional rollover IRA. 2 acre lot we purchased to build next year $85k. Revolving credit $1000 each month used mostly for supplies for my flip and online purchases. I am a construction field supervisor for a residential builder. My wife was a stay at home Mom for many years, and now is in her 7th year full time as a 4th grade teacher. I make $75k with bonuses. I have had many jobs over the years. I started off part time at a local grocery store, wine sales rep, uniform route salesman, before ending up in construction. I have been in construction full time since 1993. My 1st job out of school, I think I was lucky to crack $20k. Wife was probably about the same. Probably one of the biggest setbacks for me was the Great Recession of 2009. My worst year was that year by far. The builder I was working for at the time was going through major cuts and trying to find a job in my area of expertise was almost impossible when literally everyone was laying off workers left and right. I remember during this time, that we all were fearful that we were on the verge of a total economic collapse. One of the things I could have done better would have been to not move around companies so much. Sadly the recession of 2009 just crushed all of us in construction. Now I realized I could have chased a bit more money if I went back to my old employer, but it was a soul sucking company that was too demanding for my intestinal fortitude. The recession caused me to have to jump around on jobs several times over the past few years in an effort to get a better situation in terms of benefits and money. One of the reasons I chose my current employer was that they do convey a work life balance atmosphere. I have been with them just over 4 years at this point. I could pursue more money from other employers, but this company is stable and actually growing. We go through busy stretches as most construction companies do, but when my volume is lower it is easier to leave work at a decent hour, and I have weekends off. I try to eat well and exercise on a regular basis. I have weekends off, so that is nice to catch up on projects at home, do my house flips, and leisure activities. This is an area about which I am most excited. I have done some house flips and have had rental properties in the past. But in 2014 I decided with my wife’s approval of course that I would pursue house flipping as a way to make extra money. In spite of what my realtor has claimed, I have made very good money on my flips. I have done 3 since then, and I am on the home stretch of number 4 which if the market holds, I should profit well from this house. Flip 1 I made about $40k. I was a single family split foyer. It took about 5 months to rehab it until I put it on the market. Flip 2 was a larger single family home that literally took me a year from purchase to sale, but I benefitted from having long term capital gains on this one. I made about $61k on this one. It was my best one yet. Flip 3 was a smaller rancher about 1100 SF that took about 9 months from purchase to final closing. It was a clean contract and I actually got $3k over the asking price. I have not done my taxes yet for this one as it is due this year, but I should be somewhere in the $45k range on this one. Flip 4 is a tri-level literally down the street from #3 that I purchased while still owning #3 so I had to swing some financials to make it work. I purchased this one in May of 2017, and my goal was to finish it and put it on the market for spring selling season of 2018. I just have the finish items to do. Next item is for us to either do one more flip and then build a house or get a feel for the market and build a house before the next flip. We found a lot very near our current house where we can build our empty nester house. This should also provide us with a very tidy sum of money from the sale of our current residence. One of the benefits of being in the construction business is that you always have contacts for buddies in the business that you can cash in favors or get that things for the best pricing. I have so far been able to do my house flips without my manager’s knowledge. At least I don’t think they know, and I am not sure if it would matter, but in the interest of being safe, I have decided not to reveal this to anyone, at least until I am ready to make the plunge into flipping full time when I tell the real working world bye-bye. We spend about $8000 a month which is a big concern for how the money flows in and out. However this is total flow of which is some money for my son who is still in his last year of college and some of the flips. Our net spending is really around $5000/month which is still way too high at $60,000 per year. We spend average amounts of money in the usual categories. We set aside $600 for housing which covers our taxes and insurance and then some. I have a truck payment of $382. This is something we are working on paying off. We will certainly do so when the next flip sells. This will free up a good amount of cash. Groceries and meals out $175/week which I think is about average also. Cell phone for the wife and sons runs $175/month. Again, I would like to pair this down if possible. We have Verizon; we tried T-mobile, but the coverage was so poor, we had to switch back to Verizon. Sadly, we do not have a budget. This is something we need to implement. My wife pays the bills and manages that aspect of the finance. I manage our taxes and retirement accounts. I would like to take more responsibility in the bill paying so I can monitor and search for better deals for utilities. Currently I have 21% of my gross pay put in my 401k at my job. This has a nice company match of 100% on the 1st 3% and 50% on the next 3% of my pay. This ends up being a guaranteed 4.5% return on your money. My wife has about 15% of her pay taken out. Since she is a teacher, her 403b is not matched. However it is tax deferred. We have steadily increased our percentage over time as we felt that we could and needed to save more. The urgency seems to increase as you age to be able to save more. I can’t think of anything that really comes to mind. We took a cruise this past spring for the 1st time ever and loved it. We occasionally go out to our favorite Mexican restaurant which is not expensive. We do like to order food after work occasionally to save time and effort. But even that is kept to a minimum. We would like to reach a certain level and then withdraw at no more than 4% annually to be able to live on our day to day expenses. I feel like our flips have done well. My 401k with my old company stock has also done well. Hands down was a model home my brother and I bought at the height of the market and then the recession hit. The builder (our employer at the time) gave notice on the lease and we were stuck with a home in a neighborhood where our competition for every house was either a foreclosure or a short sale. My Vanguard account has averaged 8% which I feel is pretty accurate for the most part. I look at it several times a week. It is especially exciting to look at it all the time when the stock market is so good. I am still pretty aggressively positioned, so I need to actually get around to do a better allocation for someone my age. I look back and I think we had a lot of factors that helped us along the way. My wife and I eloped and as a result my father in law said he would help us on a down payment for a house. He jokingly said that a wedding or a house payment would be roughly the same so we took the money and purchased our first home. A few years later we built a home where we did the contracting ourselves. This is a great way to make money if you have the energy and stamina to go through the process. We probably gained at least $40,000 in equity with just that one move. The rest of the time, we just saved the old fashioned way. We just kept plugging away. We never viewed that as an option; we just did it. A piece of advice I can offer is that no matter what always commit yourself to saving. I wish that we could have been able to save more sooner. The other thing is that if you save when you are young, you have the power of time to have compound interest do its magic. Oh my, there have been so many. The recession really kicked the home building industry in the teeth. We all reminisce now on how hard it was to survive. We just plugged away and did odd jobs, side jobs, worked temporary jobs, cut expenses, etc. In other words we did what we had to do to survive. My wife and I went into survival mode which meant we cut expenses and did not spend money on anything we did not need to spend money on. Best advice: never give up ever. We have continued to save aggressively and watch our spending. We have decided to forgo the expense of a new car for my wife. She wisely said that she would rather retire than have a new car. Yes, I am shooting for at least $1,250,000 in liquid assets and no debt. This is what I think is termed which I shall put politely as screw you money. They say there is a difference between screw you and screw everyone money, so I think you reach the screw everyone milestone when you can say good bye to everything. I think that somewhere north of that figure will allow us to say good bye to the regular work force. We still do not have $1,000,000 in liquid assets, so I have not had any significant behavior changes there. But I think that we were in our upper 40’s when we hit $1,000,000 net worth. How this has changed us is that we do not worry about the future nearly as much. I do think about what retirement will be like more often now that the finish line seems like it is closer. My wife and I often have said that one do over would be that we would have had one more child. That obviously has nothing to do with money, but that is one thing we have said to each other. I wish that I could have talked my wife into building more houses as personal residences to use the sweat equity to create wealth. 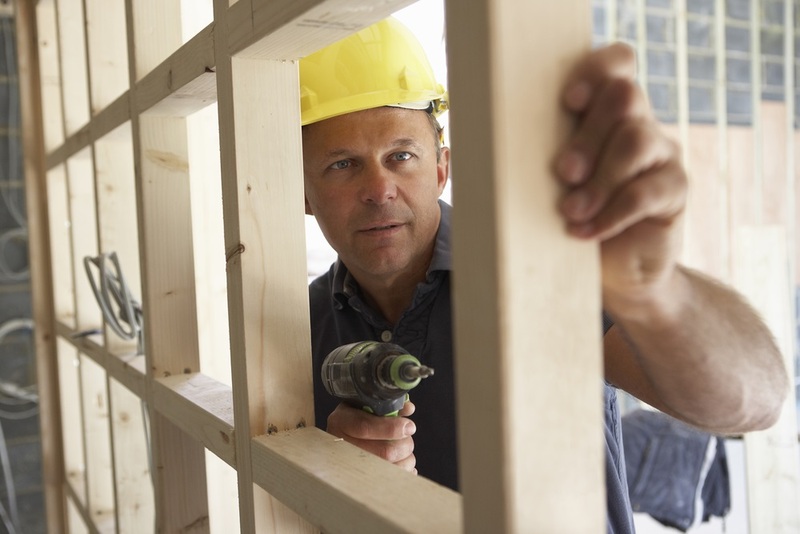 As a builder, you would be crazy not to cash in on those favors along the way and take advantage of the professional connections for good pricing and discounts. Don’t do anything without your partner. I could have saved a lot more money had I not bought that model home. I actually did it somewhat behind my wife’s back. Don’t stay in a mutual fund just because Money or Kiplinger’s at one time said glowing things about it. Past performance of a flash in the pan style fund does not mean it will do anything in the future. Start early, save often, follow your instinct. Make your own luck. I am trying to capitalize on my skills and connections to do my side business. The very second I have enough money to live on at a safe withdrawal rate I am checking out of the corporate America workforce. My wife feels the same way about teaching. We live in a large house now. And as soon as we sell our current flip, we talked about doing one more flip before we build our dream retirement house. This house will be around 2000 SF which is much smaller and cheaper than the 3200 SF house in which we currently live. The new house will be more efficient and less costly in terms of utilities and taxes. I really want to be able to do some significant travel. I don’t want to do extravagant travel, but I want to see the country and some of the world. I plan on packing my truck with some camping gear and heading across the country and staying in National Parks and seeing whatever captures my interest. I also want to hike the Appalachian Trail. I do not think I want to through hike it at once, but do at least a significant portion of it. I obviously want my wife to join me a good bit of travel just not the hiking part. When I decide that I have had enough travel for a spell, I plan on continuing to flip houses. I find that aspect very fulfilling. Yes, the biggest issue is healthcare. I still do not know what the solution for the long haul will be, but I know that all the FI bloggers also share this concern. I have seen where many of them have used the ACA and tried to stay below the poverty line to continue to get the credits. I really hope that the national mood will change this dialogue to make health care affordable and guaranteed to all folks. We the people have to demand that there is a change to make it work. We all agree that it is the elephant in the room; we just don’t know what to do about it. I have always been interested in personal finance. I remember my parents being interested in being frugal and successful. They grew up poor and that motivated them. I have read a lot of books on real estate, finance, and investing. I remember seeing several infomercials on TV and sadly I purchased one on real estate investing. It helped me somewhat. What really inspired me is the desire to not have to deal with the corporate BS forever. I wanted to do things on my own terms. We do give to our local church. I am not quite at the true tithe of 10%, but I would like to get there. I plan on giving more in terms of time as we retire. I also volunteer at our local Appalachian Trail club doing trail maintenance. We currently have our estates set up to allow each of us to inherit the other’s estate. Then we have our 2 sons set up as 50% each when we pass. We have not thought about this in any great detail beyond what i just stated. If there is anything I can add, I would like to do so at this time. Keep your eye on the prize. That can mean a lot of things to a lot of people, but eventually you will be too weary to work either physically, mentally, or both. You can never save too much, but you can save way too little. So you need to have some goals. Two are better than one, so your marriage is important. As my wife and I age, we realize how blessed we are to have each other as best friends and partners. If your marriage is worth saving, it should be worth fighting for. Financially two are way better than one. But you need to be on the same page in terms of spending and philosophy about money. As for saving and investing, take advantage of any and all company matching plans. That is free money. Save as much as you can so that will have a nest egg when you are ready to call it a career. Don’t get caught up in the hedonistic treadmill of consumerism. I can’t remember who authored the quote “don’t keep up with the Jones’; they’re broke.” But that is so true. People get wrapped up in the race to buy things they don’t need to impress people that don’t care. If you can get away from that mindset you can free yourself up financially and emotionally. You do not need the latest car, phone, man toy, outfit, jewelry, etc to be happy. In closing I wanted to write to ESI to participate in this interview, so I could show people out there that I am just an average guy with a pretty average job, and through time and perseverance you, too, can accumulate a tidy sum of wealth. I’ve always wondered why after the 2009 recession it was still so difficult to find contractors despite the booming real estate. In Seattle, there’s a huge shortage. We were on a waitlist for 12 months for a driveway job because they were the only well respected company and even they had manpower problems. I can see why it feels so easy to get burned so bad when one day they need you and the next day no one did. And you were right, I totally loved your story and this interview! “Don’t do anything without your partner.” Solid piece of advice, gets said often but not everyone listens as often as they should. Wonderful story about the up’s and down’s of the adventure called life. Wish you were in my area – I buy value properties to rent. Want to partner with a flipper. Post-FI I hope to hike large parts of the AT too! Thanks for sharing your story. I really like what you said about accumulating “stuff.” We all need to realize that some day that all we have accumulated must be sorted and departed with. Very good advice — glad that I had a 401K early in my career – (and that I rolled it into an IRA, never touching it) as I became a SAHM for 8 years; before returning to work full time, 12 years ago. I have counseled many a person, when they are looking for funds, — don’t touch your 401K, IRA — it has to stay there. I’ve worked with some folks, who have depleted those funds, and they can never get it back. Congrats on building a significant net worth on relatively modest income. I always find that impressive. A few comments: 1) How much of the $480K in the old employer 401k is in that company’s stock? I would be extremely cautious about being tied to a single equity for that percentage of my net worth. As an example, my compensation has typically included annual stock grants. I nearly always sell those share immediately upon vesting as nearly all the index funds I own do have shares in my company. All it takes is one scandal to cause significant depreciation of that company’s stock. 2) I would be very cautious about “keeping the house flipping” business secret from your employer. Frankly, if your employer is a large residential developer, it doesn’t seem like much of a conflict for you to buy and rehab existing single family homes on your own time. If you are hiring subs based on those you also hire for your 9-5, I do think you need to try to avoid conflict of interest activities that could be viewed poorly by your employer (i.e. awarding jobs from subs based on a handshake agreement that they will perform work on your flips at an advantageous price). That conflict of interest could be viewed dimly if you have a dispute with the sub and it creeps back to your day job. I have a pretty big portion of my old company stock in my 401K. We have recently suffered a pretty big pullback, so I am going to wait this one out and then sell when the time is right. The company is still pretty solid financially, so I just need to keep an eye on the market. As for keeping my flips secret, I figured that it is not a significant conflict of interest as I am not building houses which would be a conflict. And many of the subs I use are not current ones as I have been in the business a long time and can go many layers deep beyond my current subs. I am fortunate that in my position I do not have to choose the subs so no conflict there. Our estimating team awards communities based on work load and bids, not me. Just don’t make the mistake I made and fall in love with your company stock waiting for it to return to its glory days. I did that with GE thinking it was probably the safest stock in the Dow and it cost me a boatload of money. A very hard lesson to learn for me but not one you have to experience if you don’t make the same mistake. I second this. If you would not buy the stock today then you should not keep holding it. Google “sunk cost fallacy.” However, I have done very well on my company stock over 24 years, but I chalk this up to luck not skill. I have a few friends that have way too much of their NW in Exxon Stock. They won’t diversify most of it out. I read a journal style book about hiking the AT. It sounds incredible. I love how you are using your unique skills and connections to earn side income. It’s such a obvious thing but so few actually get out there and do it. Thanks Jason. I feel like I would be squandering a serious opportunity if I did not use my skills. I cannot thank my father enough for being such a handy guy. Growing up knowing how to fix most anything related to a house is a great skill. That also translated over to mechanical things as well. As for hiking the Appalachian Trail, I have done a pretty significant portion from the PA line to the Smokey Mountains over time with a hiking partner. He is actually my sons’ former scout master and we have become good friends. We have done 50-60 mile sections each time. It is an incredible experience if hiking and backpacking is your thing. Nice honest story. Thanks for sharing! I’ll be able to use some of what you shared. Regarding the following statement, “In spite of what my realtor has claimed, I have made very good money on my flips.”, why does the realtor disagree with you? Lots of detail please. Thanks in advance. My realtor said that most people only make around 10-15% on real estate investments. I told him I was only going to be satisfied making $20,000-$30,000 on each one due to the work and the risk. In our market, we have a lot of competition, so I think that is what he has seen that is typical. I don’t know that I fall into the typical category. I do a lot of the work myself. I hire out as little as possible since I have the skills to do most of the work myself. Great to see a profile with salaries closer to the American mean. That should help inspire more people who don’t make six figures that they too can become rich. I am currently reading “The Millionaire Mind”, which is a follow-up to “The Millionaire Next Door” by Thomas J. Stanley. Your families profile fits right in with the typical millionaire in America. It has less to do with your GPA or scores on aptitude tests, and more about your desire to want a better life combined with a plan to save/invest your money. The only thing that I think could speed up your process is setting a strict monthly budget, and you could EASILY find a way to save another $1000/month to invest elsewhere. I wish you and your family nothing but the best in the future! You dont want to be owned or controlled by corporate america forever. Not all jobs are bad of course, but others are all about how much productivity and “numbers” they can get out of you. The game gets old at some point or things can change for the worse at your job and you need to get out. Having “FU” money is more important than most realize. You don’t need as much stuff as what all the advertising and marketing leads you to believe. I have a lot of stuff just accumulating dust that I haven’t fully utilized or had time to use. Don’t be one of the sheep trying to keep up with the Joneses like you said. One area I think you could improve is your spending. Starting making some adjustments and your situation will improve for the better, especially longer term. Budgeting is the absolute first thing anyone wanting to save more of their money must do. It’s Finance 101. I don’t find these to be in conflict. M43 has identified concrete ways he can cut his expenses – Fios TV and cell service in particular – he just hasn’t actually followed through on it yet. You don’t necessarily need a budget to cut down on expenses, you just need to be a mindful consumer. Budgeting is great for people with certain personalities, and terrible for others. The easiest way to save more is simply “spend less.” That doesn’t mean that I need to define all my spending categories and arbitrarily limit each one. I agree that budgeting is a helpful part of Finance 101, but for people that are beyond entry level, there are nuances and the baby steps don’t necessarily apply. The rate of return on your 401k match is closer to 75%, I believe. You’re getting 100 % and 50 %. 4.5% is the amount of the salary match – not the rate of return. You take all the match – which is the way to go. Thanks for sharing your success story with us M43. Your hard work and savings have paid off. You are set up nicely for a comfortable retirement when you decide to hang it up.